Flying with children? Sky Nanny is a unique service dedicated to young travellers that Gulf Air provides free of charge, with nannies specially trained for in-flight childcare services. 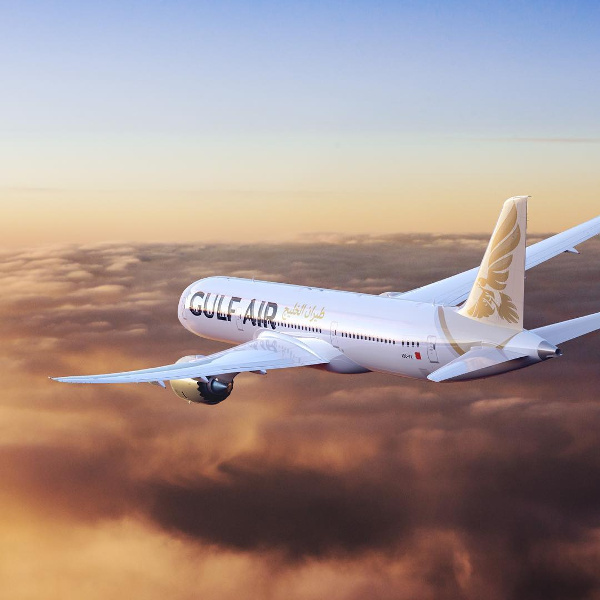 In addition to having codeshare agreements with many airlines worldwide, Gulf Air has ordered 42 new aircraft, including 16 Boeing-787 Dreamliner - expanding its network to more destinations. Stay entertained with Gulf Air's Gulf Life in-flight magazine, On Air entertainment magazine, newspapers and Falcon Entertainment system which offers a wide selection of nail-biting entertainment. Gulf Air is the flag carrier airline of Bahrain, and a 3-star airline by Skytrax. The airline started its services in 1950 as a small-scale commuter service, serving the oil fields of the Gulf and some regional customers. Now it is a major international airline fully owned by the Kingdom of Bahrain, serving 42 destinations in 25 countries worldwide. Gulf Air also believes in social responsibility, and in 2014 established a dedicated committee to look after the affairs of the local Bahrain community. With such firm footprints in what’s happening on the ground, Gulf Air has fast become a great competitor in Middle Eastern aviation. Book flights to Bahrain, Muscat, Jeddah and other exciting destinations! Infant: 10 kg, plus a collapsible stroller/pushchair and an infant car seat. Each piece of checked-in baggage should not exceed 32 kg, with the maximum dimensions of 95cm x 75cm x 45cm. Passengers flying on a codeshare flight are subject to the checked-in baggage policy of the airline operating the flight. You can check in online starting from 24 hours until 90 minutes before your departure time, allowing you to choose your preferred seat from an interactive seat map and print your Boarding Pass while in the comfort of your home. Passengers can also check-in at the airport up to 24 hours early, get their boarding pass, and later proceed directly to the departure gate just an hour prior to the flight's take-off time. At most airports, ordinary check-in counters open 3 hours before the scheduled departure time and close 60 minutes prior to it. Gulf Air offers its passengers the choice of Economy Class and Falcon Gold (Business Class). 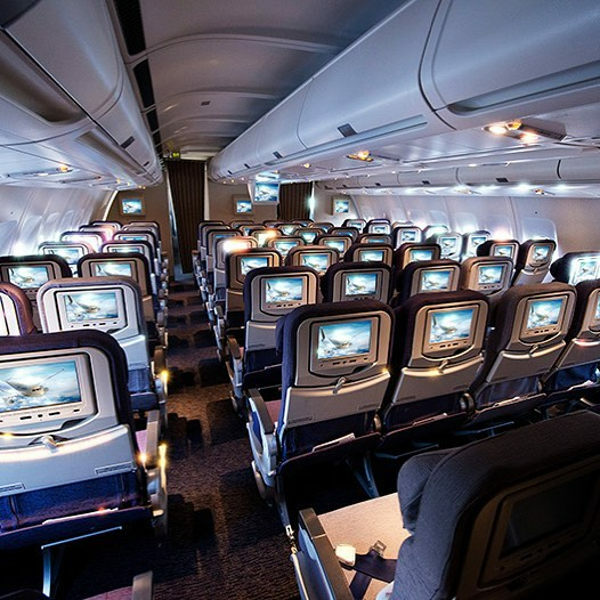 In-flight entertainment is brought to passengers on the Falcon Entertainment Systems. Content is uniquely selected and includes everything from live radio broadcasts to international movies and TV shows, as well as a large selection of audio channels. Gulf Air offers many meal options across cabin classes. Meals are prepared by Sky Chefs and include specialty choices such as vegan, low calorie, gluten-free and so much more. Gulf Air operates 28 Airbus aircraft flying from its main base in Bahrain International Airport to 38 destinations in 23 countries across Asia, Africa and Europe; featuring London, Paris, Frankfurt, Dubai, Delhi, Karachi and Mumbai, with scheduled flights from Cairo and Alexandria to Bahrain, where you can connect to your next flight.